SmokerBuilder.com is now on Bigger and Faster Servers! Well it finally is over! I have been working non-stop since Wednesday to complete the server migration and I, along with the Heroic support of the server company I use, have finally brought the project to a close! If you notice any site usage issues please let me know! As we move forward I will be adding more posts and some exciting new features to this site. Our FA Builder program is also growing and we are adding more expert fabricators to our program every week. Our Forums are now over 475 members strong and are starting to get very busy! You can join our community by Registering Here. You can find me along with other members in our chat room many times of the day. We would like to help you with your smoker project. 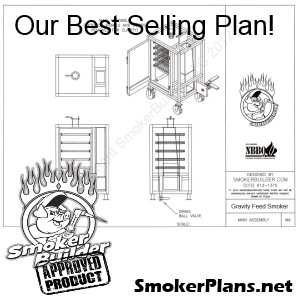 We are adding more items to our SmokerPlans.net website everyday! If you do not see the exact smoker you are looking for, we will draw them for you at no additional cost! We have 2 options available. Published and Non- Published. If you want to keep your design private, choose the Non published product. If you don’t mind to let us share your design and publish it on our site, choose the Published product. Thank you for your continued support and I look forward to seeing you on our forums!